The US Dollar/Japanese Yen exchange rate has surged as the Bank of Japan announces aggressive monetary policy easing, while comparatively firm expectations for the US Federal Reserve leave the US Dollar on stronger footing. The Japanese central bank announced that it would further expand its balance sheet and create more Yen by purchasing Japanese Government Bonds (JGBs). This pushed JGB yields lower, while US Treasuries remained unchanged. 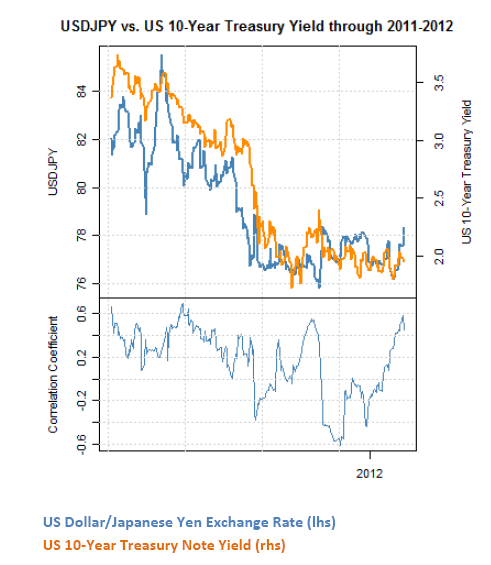 We believe that the US Dollar stands to gain further against the Japanese Yen on the Bank of Japan’s recent actions. Given the strong correlation between the USDJPY and yield differentials, interest rate and monetary policy expectations should be enough to lift the USDJPY steadily off of record lows.